ABs have now started a brand new format restaurant named 3B’s Buddies Bar and Barbecue next to their original outlets. 3Bs as it is called, focuses on the signature starters that ABs is known for. 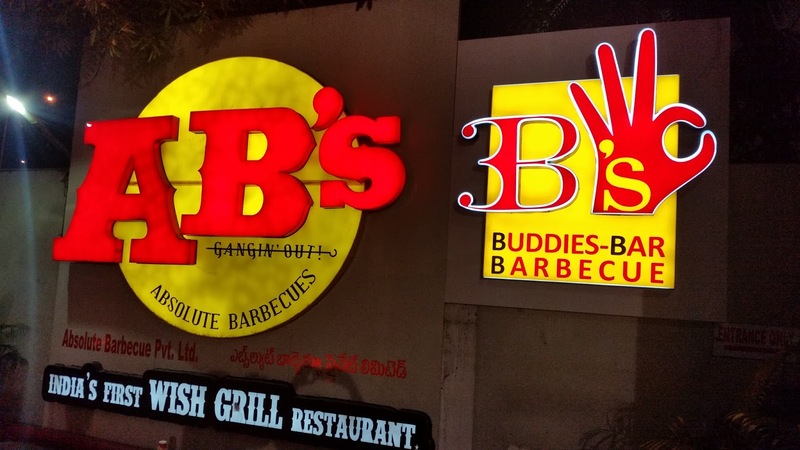 The idea behind this is to offer delicious kababs and grills, both non-veg and veg as well as drinks at an economical price. After feasting on the starters if you still want main courses, 3Bs will have a few rice based dishes like biryanis and curd rice for you. Desserts will be limited and served in a platter. The pricing will be an economical Rs 550 with drinks extra at very economical prices. For example, in Hyderabad, a peg of Teachers Highland Cream whiskey will cost only Rs 99. 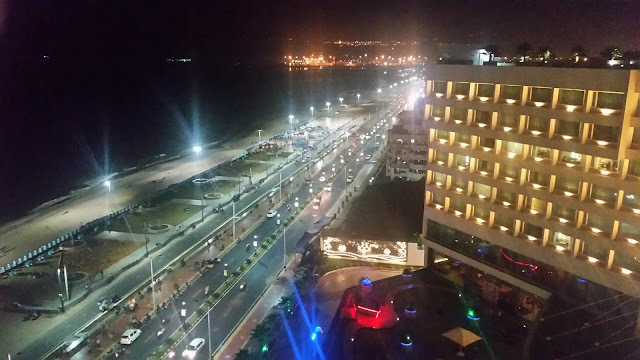 At the Bloggers’ Meet at the restaurant, we were seated in the open area overlooking the busy Madhapur thoroughfare. 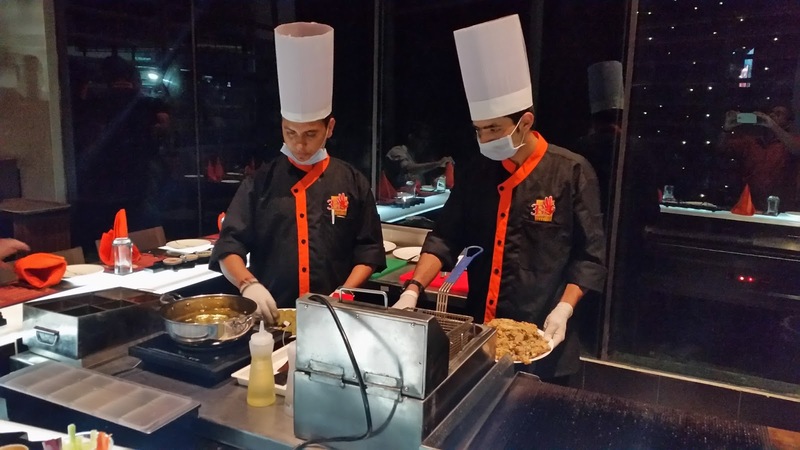 The restaurant has comfortable sofas as well as seating next to the live counter, and we decided to occupy the latter so that we could see the starters being prepared by the two chefs. 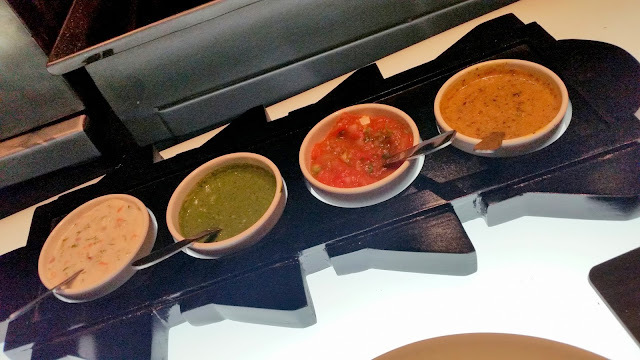 About five non-vegetarian starters were served to us in rapid succession, of which I loved the chicken tikka dish which was called Asian Chicken. The boneless chicken pieces were marinated the right amount, and the spices in the marinade had the right balance. 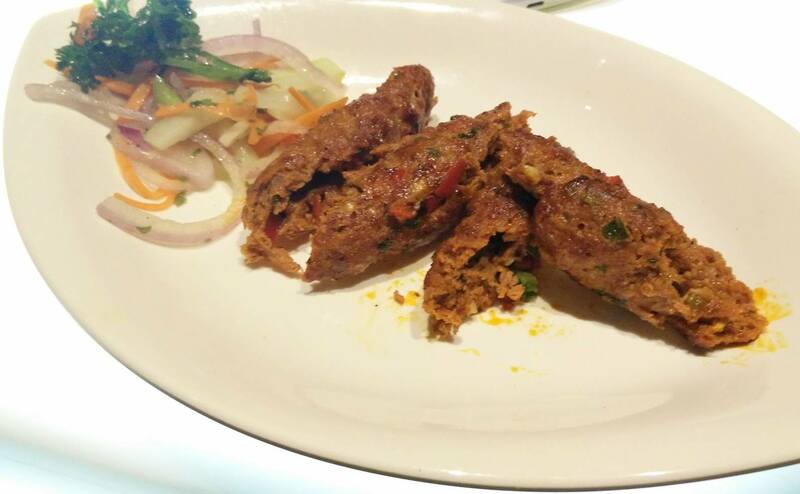 The Mutton Gilafi Seekh was very good in the first round, however on a repeat, they were not at the same level. 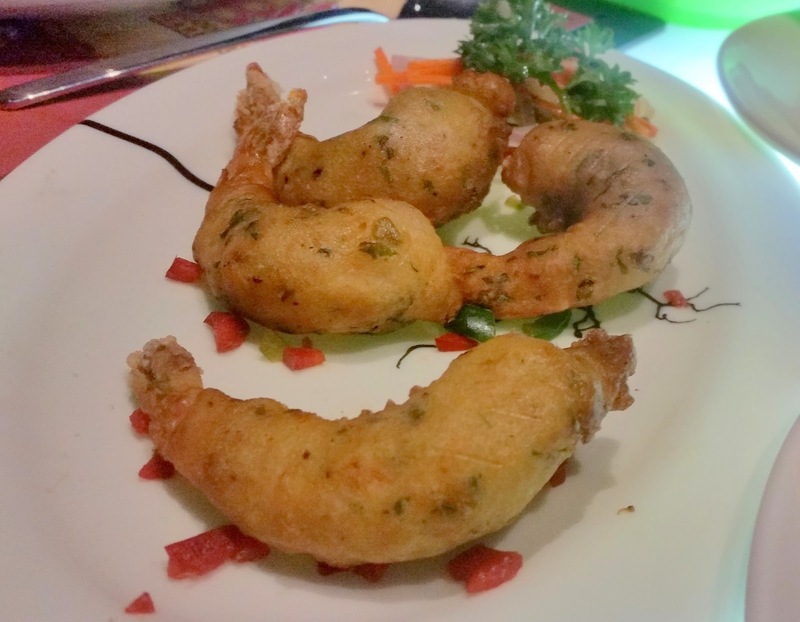 Tempura Prawns were decent. It was nice to watch the preparation of the Australian Grilled Fish right in front of you, though on tasting I thought I would have liked a little more spice in my fish. The taste improved with the mustard dip served on the table. Tandoori Chicken Wings was another starter served. Along with the starters, we were served drinks as per our choice. I opted for 3B Rocker which had five different alcohols in it, along with pineapple juice. It was a strong yet smooth drink and it created quite a buzz. Among the non-alcoholic drinks the favorite seemed to be Mango Rupture which had mango pulp, and vanilla ice cream with a little bit of coconut milk. I love mushrooms, and among the vegetarian starters, my pick was automatically the Tarheel Mushroom. The Ajwani Paneer Tikka complemented the chicken counterpart with good quality paneer and a masaladar marinade. Two of ABs all-time favorites American Cheesy Potatoes and Cinnamon Pineapple shavings were good as usual. Hara Bhara Kabab was a trifle dry, whereas Dahi Ke Shoole needed to have more hung curd and lighter coating. After feasting on the starters, I did not feel too tempted by the main courses. Though there were two varieties of biryanis as well as curd rice, the Dal Khichdi was my favorite. I like my khichdi to be dilute and watery, and this was perfect. 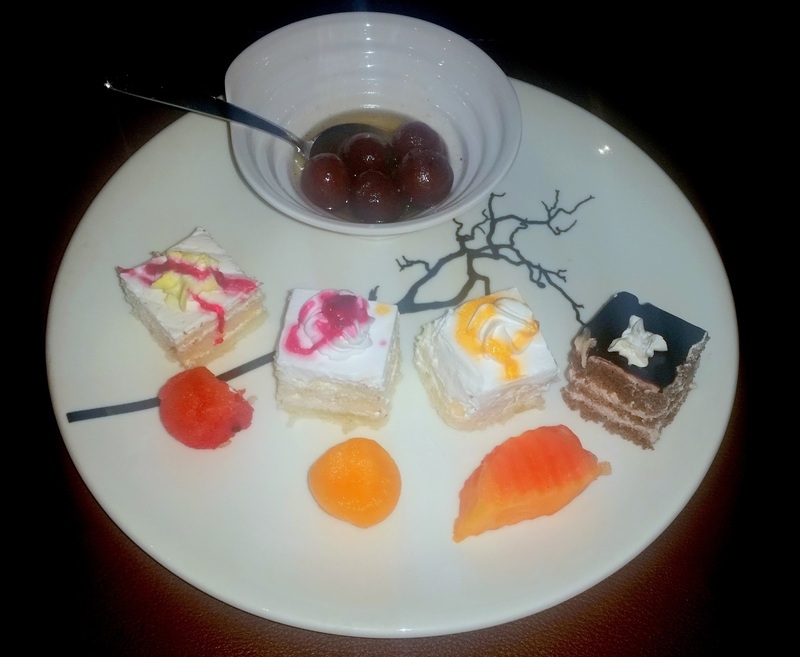 For desserts, a platter was handed over to us, which had some fruits, a few small pastries and Anguri Gulab Jamuns. Paan Ice Cream ended the meal. 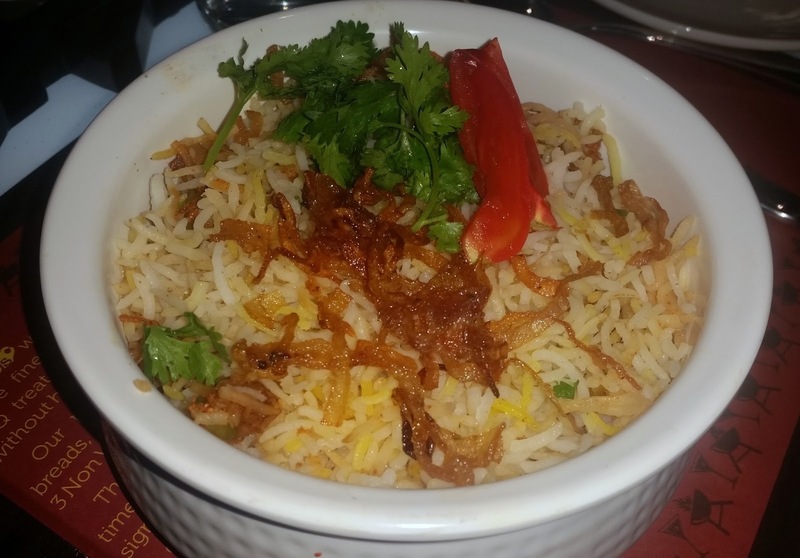 The new place provides quite a few benefits to the food lover – a good range of starters and economical liquor. For people with limited appetite, it saves you from paying extra for the main course and dessert spread which you do not end up having. It will be ideal for an office party as 3B’s has attractive corporate packages inclusive of drinks. I expect the new format to do as well as its more familiar cousin. Currently, it is open only for dinner.